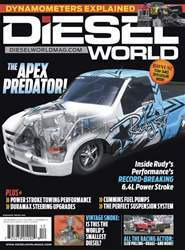 Digital Subscriptions > Diesel World > December 2018 > HIGHER DIESEL PRICES COMING? According to industry experts, the lower sulfur standards that loom for marine fuels in 2020 will have a trickle-down effect on the diesel we buy at the local filling station. In a regulation agreed upon by the International Maritime Organization, marine diesel will be required to contain a maximum sulfur content of 0.5 percent (vs. 3.5 percent at the present time) by January 1, 2020. Currently, ships operating in international waters are allowed to burn high-sulfur diesel. Once these vessels are required to use the lower sulfur fuel, supply and demand for ULSD will change and likely result in increased prices at the pump.